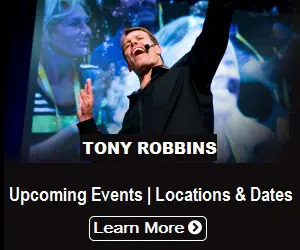 At Tony Robbins’ Date With Destiny seminar, you will discover who you really are and make the decision to create your own life-changing experience. You will connect yourself with your ultimate purpose and ignite your life passion. 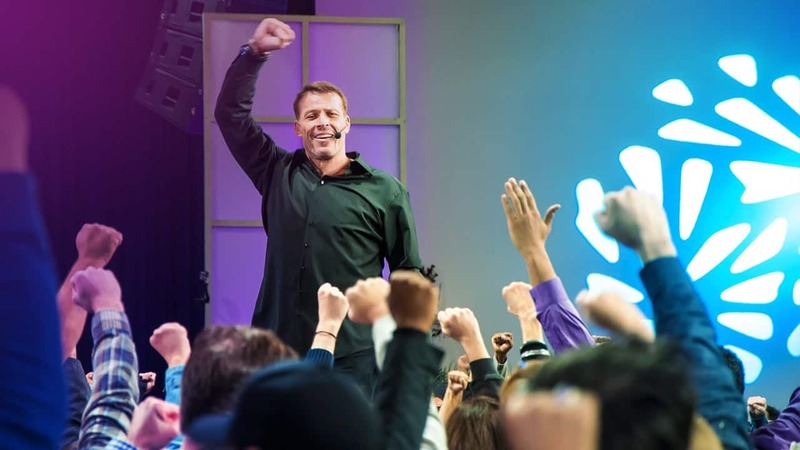 You will learn the tools and psychology to achieve the ultimate vision of your life and success in finances, career, health and relationships. You will gain a clearer and deeper understanding of what truly drives you; thoughts, feelings and behaviors and build toward your own personal breakthrough. Tickets: Click here to purchase your early bird tickets! For other upcoming events: Click here! Whether you have a chaotic lifestyle or you are trying to decide what your next step in life should be, finding your life purpose can be a daunting and incredibly important task. From unsatisfactory expectations to monetary or time restrictions, following your own path in life can be challenging not only due to your own indecision, but also due to others’ expectations of who you should be and what you should do. In order to help you navigate these torturous waters, we have put together a short list featuring 7 different questions you can ask yourself in order to find your life purpose. Hope you enjoy the list, find the answers you are looking for, and find happiness in whatever purpose or goal you set out to reach. This first question is the core of what your purpose should be. Are you a giving and generous person? Or are you a hardworking individual? No matter what the answer may be, you should always keep your principles and values in mind when making a life-altering decision. 2 – What makes me happy? Regardless of your chosen purpose, the final goal you should keep in mind is happiness. If you are going to set a goal in mind and work hard to get there all your life, your happiness and satisfaction should be an imperative result. 3 – What do I strive for? When you wake up in the morning, what do you want to get out of that day? Money? Time with your loved ones? To help someone? Finding something that deeply motivates you will surely keep you on track and ready to take on any challenges that may present themselves while you try to fulfill your life purpose. 4 – What am I good at? This question is intrinsically connected with the previous question. By following a purpose that requires skills you are good at, or have an interest in, means you will be more compelled to keep working towards reaching that final goal. 5 – What are some of my unique qualities? Dig deep to find one or more qualities you have that differentiate you from those around you and use it for your benefit. Are you good at making people laugh? 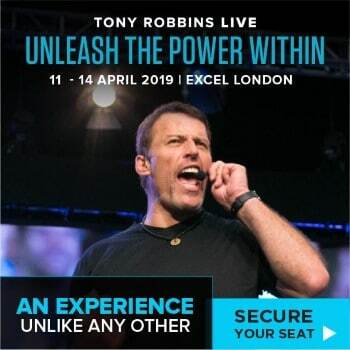 Are you an amazing public speaker? Follow and develop these qualities in order to find a purpose that also brings you personal satisfaction. 6 – Where do I see myself in the distant future? This question comes down to a single exercise: close your eyes and think about what your ideal lifestyle would look like in 10, 20, or even 40 years. Think and once you have that clear picture in your head, it’s time to come up with a strategy that will turn that mental picture into a reality. 7 – What do I want people to remember me for? How would you like to be perceived, considering how you see yourself? Regardless of whether you want to be seen as someone successful, a good parent, someone funny, or someone selfless, the way others see you should ultimately be in alignment your values and goals. These are just some short tips and questions you may use to find a life purpose you are happy and glad to follow. Regardless of whether you find a purpose right away or not, keep in mind and never let it demoralize you if you end up changing your life purpose. Notions of happiness are fluid, as are your own personal desires, so never be afraid to follow and explore a new life purpose, if you know it could bring you happiness.